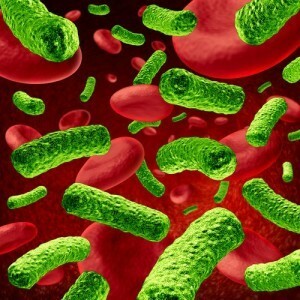 Dr Oz: Warning Signs Of Sepsis & Can a Simple Scrape Lead To Sepsis? Dr. Oz sat down with the parents of a young boy who came home from school with a minor cut that led to a deadly infection. They told Dr. Oz of how they rushed him to his pediatrician after a night of vomiting and complaining of severe pain in his leg. The doctor convinced them he had a bad case of the flu and the pain in his leg was probably just due to the fall he had taken the day before while at school. She recommended the parents take him to the emergency room to be rehydrated, which is what they did. Rory’s parents both say the thought never crossed their minds that his illness could turn fatal. They say they believed in his pediatrician and trusted in her diagnosis that it was just a case of the stomach flu. When Rory’s fever spiked to 104, his parents got concerned, especially since he was not even able to sit up on the family’s couch. Again, his doctor assure them those were typical symptoms of the flu and that they should continue to keep him hydrated. I am am parent, and have tears hearing Rory’s story…I am so sorry for your loss…words can bring little comfort for what you have endured. It took great strength for you all to bring Rory’s story to such a public plateau, and thank you for educating parents on such a horrible disease…I know you have saved lives by bringing his story publicly. God bless you.